Behind MRS Filling, Station Ijoko Sango Ota. Leksokky Hotel is not just a beautiful edifice decked in earth-toned colours, but a hospitality haven for the discerning traveller. The serenity and calm of the surroundings are one of its high selling points. Leksokky Hotel is strategically situated at Km 4, Behind MRS Filling Station, Ijoko Road, Ijoko Ota, Sango Ota, Ogun state 19 minutes' drive away from Covenant University, Ota. It boasts nice rooms designed in glazed tile floorings featuring cushion chairs, air conditioners, telephone, table lamps, reading table and flat screen TV sets. The rooms in some categories have hair dryers and Jacuzzis. Rooms are categorised as Standard, Classic, Deluxe, Executive Standard, Executive Double, Royal Suites and Ambassadorial Suites. 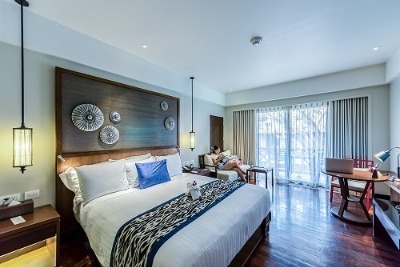 There are modern facilities in place to optimise guest comforts such as an outdoor swimming pool, a gym and WiFi internet connectivity. There are an open air and outdoor restaurant where guests can access various local and continental delicacies as well as a pool area bar where various drinks are served. Security and a 24-hour power supply are guaranteed as well as secured on-site parking. Leksokky Hotel renders room service, airport pick-up, car hire, safety deposit and laundry services on request. Conference room and events facilities are also available. Q: Does Leksokky Hotel offer a free internet access? Q: Does Leksokky Hotel have a swimming pool? Q: Does Leksokky Hotel render events services? A; Yes, this is available at a surcharge. Q: Does Leksokky Hotel have a gym? A: Yes, a gym is available on-site. A: No, on-site parking is free of charge. Leksokky Hotel is an affordable hotel in Ota, Ogun. I have lost count on the number of times I have lodged at this hotel and they keep stepping up their game. I am really impressed with them and their services. I really had a nice time, I wish I stayed longer because your service of one of the best that I have experienced in a long time, when I needed any thing the response was fast. The guy that the door not only open the door for you but also carried my bag to my room, and every staff I met had a big smile on their face, I really enjoyed been taken care like great personality. Well i enjoyed my stay at your hotel, It was an okay stay for me. Your room service was okay. Your hotel management was okay, you made my night okay too. Have nice pictures of Leksokky Hotel ?